We like playing Facebook games, we really do. We hate, however, seeing everyone else playing Facebook games and getting invites to play Facebook games. If you’re like me, you probably even play Facebook games at work. I mean, why not spin the wheels of MyVegas in the background to earn some free comps for Las Vegas while you work on spreadsheets, right? Thing is, when you install games and apps to Facebook, you give them permission to post to your wall, meaning you spam your friends with your high scores, level ups, and gaming achievements. Even though it’s a background activity, the app is still posting on your behalf making it look like you’re not working. You don’t want that, nobody wants that. 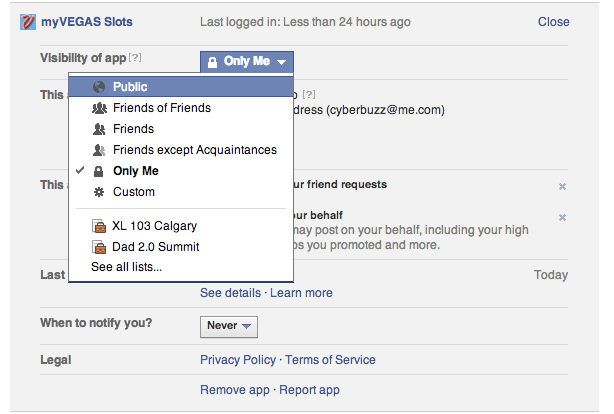 It’s very easy to stop Facebook game updates from appearing on your wall, just adjust your permissions. This will hide all your Facebook game activity so you are the only one who really knows how much time you spend playing Facebook games. 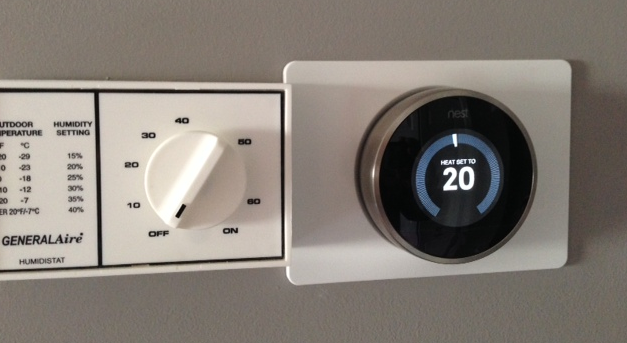 In the upper right hand corner, pull down the tab to get your settings. 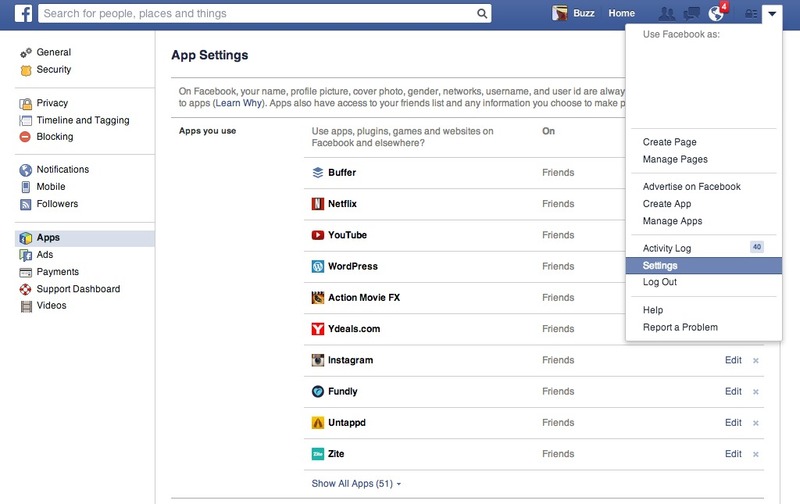 Then scroll down to APPS on the left side to get all the apps you’ve installed to your Facebook account. Aside: It’s a VERY good idea to go through this list on a regular basis to see which apps you’ve given access to your account and see what level of access they have. If, for example, you entered a Facebook contest, you might still have access granted for a brand you no longer want to be in there. Do a quick inventory and then find the app you want to adjust permissions for. 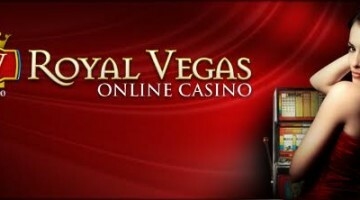 I play a lot of MyVegas. It’s a great way to earn free comps in Las Vegas. Last trip there, I saved about $300 on meals and drinks just after dumping mindless hours into a Facebook game. 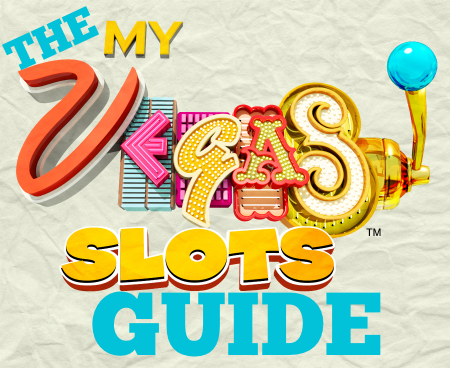 Check out these MyVegas Tips, Tricks, and Cheats, see my MyVegas Trip Report, and then check out this MyVegas Strategy Guide to see how you can earn free Vegas comps quickly. Now, whenever this app posts to your wall, you’re the only one who will see it. I use this setting for almost every app I install on Facebook. 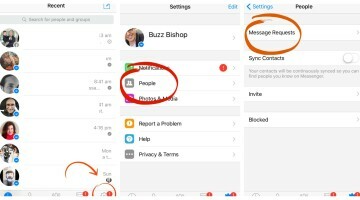 If you want to hide Candy Crush and stop from spamming your friends with all your Facebook game activity, simply set the app permissions to “Only Me” and you’ll be a very polite Facebook friend. The reason people spam walls with game updates is because the games encourage it. You can like and share each other’s posts and gain points, chips, level ups, advantages, and more. So it pays to have a circle of friends all playing the same game and helping each other out. To that end, people have created fake accounts specifically for gaming purposes. 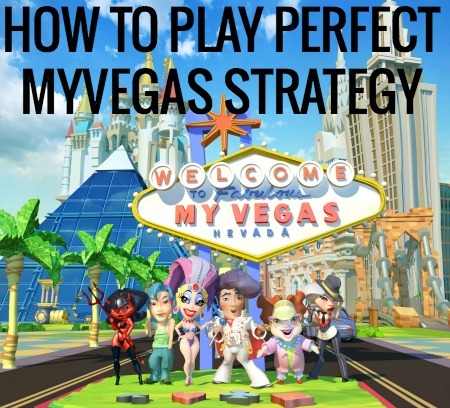 In MyVegas, a lot of people just use “MyVegas” as their last name for the fake account, and collect as many friends as they can from the various Facebook groups associated to the game play. If you’re really obsessed and need the extra incentives, try the fake profile but know that it is a violation of Facebook’s ToS and could be removed without any notice.